MMbombela, the capital of the Mpumalanga province, is a vibrant, sub-tropical city that combines a rich history surrounded by untouched wildlife and plenty of adrenaline-fueled adventure. This dynamic city is not only the urban gateway to the famous Kruger National Park, but it’s also home to incredibly stunning botanical gardens, and great shopping. Mbombela (formerly known as Nelspruit) is a vibey little city that is home to Mpumalanga's provincial government. There’s a lot to see and do in and around the city. Get closer to some ancient reptiles at the crocodile farm, engage with gentle giants at the Elephant Sanctuary, dive deep into the oldest caves on earth and top it all off with a magical visit to a botanical garden. TTemperatures over 40 degrees Celsius are no exception in Mbombela during summer. IIt’s certainly not in the middle of nowhere. The city even has an international airport, making it a pleasant and handy stopover if you're on your way to the game reserves and national parks further north. To add to its sweetness, the city is also the centre of a huge farming area specialising in citrus − those oranges and grapefruit you buy from your local market could well have come from Mbombela. TThere's much more to Mbombela than just being a gateway to Big Five country. For instance, it boasts the superb Lowveld National Botanical Garden featuring over 500 indigenous plants, a man-made rain forest and a spectacular exhibition of ferns and cycads. IIf you want to engage and help protect your closest animal relative, swing by South Africa’s only chimpanzee rehabilitation centre on the outskirts of the city. The Jane Goodall Institute's Chimpanzee Eden opened its gates for abused primates a few years back, and is an incredibly deep and interesting experience. If you want to get your blood pumping, take flight as helicopter flips are a great way to see Mbombela's attractions from the air. If you prefer your feet on the ground then venture to the Sudwala Caves, believed to be the oldest cavern system in the world. The Crystal Tour of the caves is a must, but if you are claustrophobic, you should rather visit the open-air dinosaur park that recreates the world as it was when the caves were first formed. Mbombela has a small but dynamic nightlife with clubs and restaurants, but chances are you will want to get to bed early after a full day of exploring the natural riches of the area. If you do actually fancy a show and a drink, visit the Barnyard Theatre at the Casterbridge Centre where you can also indulge in some retail therapy and a motor car museum. 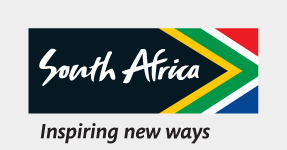 Travelling in and around South Africa’s bustling metropolitans is easy, convenient and affordable. From high-end fashion to entertainment, the Riverside Mall has it all.